Most people don’t really understand how powerful the mind can be. However, every doctor knows that the mind can cause symptoms that are as severe as paralysis or inability to speak. This is known as a “conversion disorder,” and an individual with this condition truly cannot move the affected arms or legs or truly cannot speak. Yet, in these situations, there is absolutely no physical damage to the muscles or nerves, a fact that can be documented by routine medical testing. Their brain has caused this syndrome and it is reversible. When the actual diagnosis is made and a physical injury is ruled out, if the person gets psychological help to figure out what social and emotional issues caused the brain to do this, the symptoms will typically resolve. The brain can cause symptoms of pregnancy in men whose wives are pregnant. This is known as Couvade syndrome. Medical students sometimes get symptoms of the disorders they are learning about—sometimes ironically termed “medical studentitis.” In rare cases, the brain can cause death, which has been documented to occur when induced by voodoo or reported to have even happened as a result of a cruel prank. If the mind can cause these severe disorders, why wouldn’t it be able to produce pain? In fact, we now know that the mind can cause a wide variety of painful syndromes, including tension headaches, migraine headaches, neck and back pain, abdominal and pelvic pain, jaw and facial pain, and almost any other pain syndrome you can name. 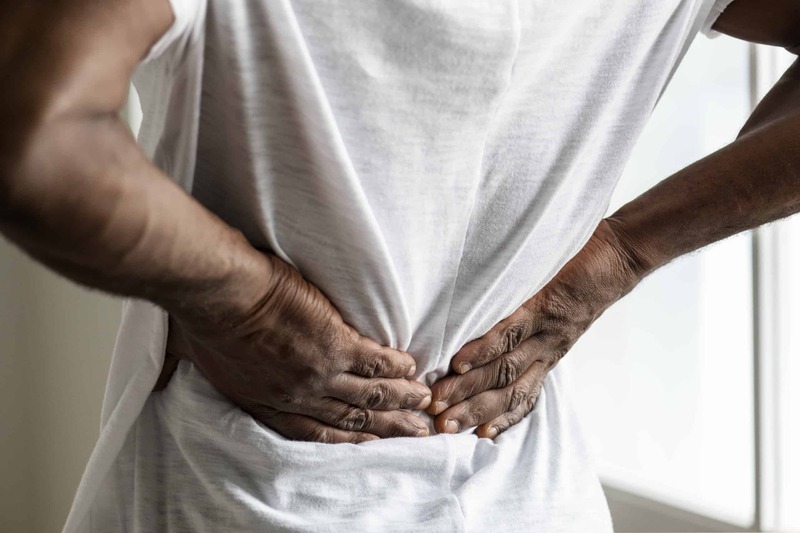 Of course, medical conditions can also cause any pain syndrome, and careful evaluations are necessary to distinguish the two. The important point to remember is that the mind can do this, so it makes sense to at least consider that possibility, especially when the pain goes becomes chronic and eludes a clear medical explanation. This occurs because the brain is trying to send us a message. Pain is a function of the brain, i.e., pain occurs when the brain activates a danger or alarm signal. Certainly physical injuries can activate that signal, but not all physical injuries cause pain. In a study from World War II, two-thirds of injured soldiers in a medical unit did not admit to having pain. Children who skin their knees often do not have pain, or may cry only when they see their parent run towards them with a worried look. A close friend of mine accidentally shot a nail through his finger and had no pain at all while he drove to the hospital. Conversely, a man in Britain jumped off scaffolding and impaled his foot on a large nail. His pain was immediate and severe enough that it required intravenous sedation and pain medication. However, when his boot was removed, the nail was lodged in between his toes and had not injured him. (Reference: Minerva. British Medical Journal. 1995, 310: 70.) His pain was caused by the brain activating a powerful danger/alarm signal. I once saw a woman who had pain in her buttocks. I asked when that pain began and she stated, “About the time my husband retired.” I saw a woman with foot pain and after she learned about the mind body connection, she began to get the feeling that her pain was symbolic of her feeling that she “couldn’t stand what was happening” in her family. Of course, not all pain is symbolic. It is up to the brain to “choose” what kind of message it gives to us at any particular moment. However, all pain has a message of some kind, whether related to a physical condition or a psychological situation. While many people with mind-body pain begin to feel that their brain has betrayed them by giving them such pain, in actuality, their brain is trying to protect them from what the brain perceives to be a dangerous situation in their body or their life. The brain of a man who developed anxiety and headache when he went to work perceived work to be dangerous in some way. His brain experienced him walking into work as if he were walking into a building on fire and created a powerful message (anxiety and pain) to warn him of that “extreme danger.” In order to recover, he had to override that message by telling his brain that he was not in danger and that he needed the pain to subside. He also may have needed to alter his work or his reaction to people at work in some important ways. The concept of the brain trying to protect us was dramatically demonstrated to me last week. I saw a young man who had widespread pain that kept getting worse and worse. I evaluated him and it was very clear that he suffered from a mind-body condition. After gaining that understanding and as he began to deal with the issues in his life, he began to improve and feel that he had more control over his symptoms. However, some added stress caused him to develop new symptoms, and he began to have thoughts of suicide. He made a rash decision to end his life and got into his car to find a bridge from which he could jump. As he put his hands on the steering wheel, he suddenly lost all feeling in his pinky finger on his right hand. He found it hard to grip the steering wheel, and suddenly he “came to his senses” and got out of the car. He is alive and now recovering from his painful syndrome. His brain had produced the pain as a message to alert him to some very difficult situations in his life, but it also sent him the powerful message of numb finger to prevent him from taking his own life. If you know people who are suffering from severe and chronic pain, please alert them to the possibility that their brain is giving them a message and causing pain. If medical evaluations do not reveal a clear cause of their symptoms, the problem might not be in the body, but in the mind. In these situations, which are more common than most people realize, there is hope for recovery. Their life may depend on it. Unlearn your pain, earn CME credits, and empower your practice with concrete knowledge of an emerging model of care that brings together cutting-edge research and advanced clinical interventions. 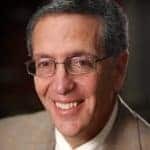 Join Dr. Howard Schubiner at the Art of Living Retreat Center. This article first appeared on Psychology Today, and is reposted with permission from the author.